I did my entries for this week's Joey and Diva challenge in my sketchbook. The top tile is for Joey's challenge, featuring Paradox and using a similar idea to the Travelling Tangles Project. I've also been hooked on Starcrossed and will probably teach it in future classes. I'd wanted to add Paradox in grey ink to the background but that just seems like too much work now that the Starcrossed is so...... crossed. The bottom tile is for Diva's challenge. Singapore has a new celebrity. Our very own Joseph Schooling won our country's first ever gold medal in the Olympics. He competed in the Men's 100 metre butterfly and made an Olympics record of 50.39 seconds, beating joint second Michael Phelps, Chad Le Clos, and László Cseh by 0.75 seconds. Needless to say, he's a celebrity now that he's back in the country and we're all very proud of him. I love how you've combined those 2 challenges tiles! You did a great job drawing them this way. Your sketchbook looks so pretty as well! Vey special and beautiful work to combine the two challenges! Love your tiles! And am so happy for you and your country to have a gold medalist!! What a gorgeous way of linking the challenges, I love how some of your tangles escape their tiles and sneak into the next one. I haven't tried starcrossed yet, will have to give that a go! Wow, you did well Stephanie!! 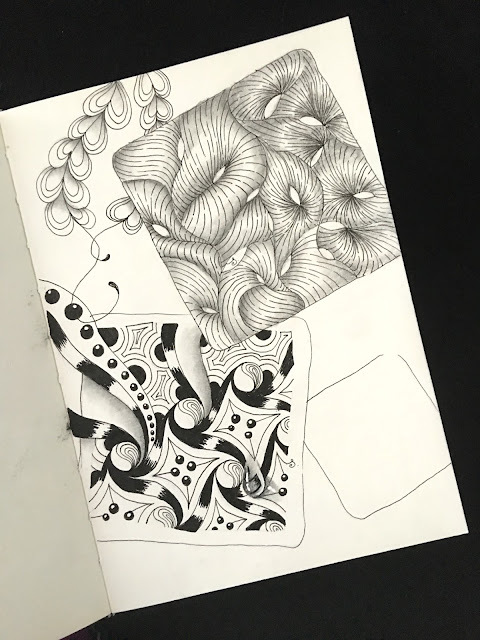 Wonderful sketchbook pages! Beautifully done! 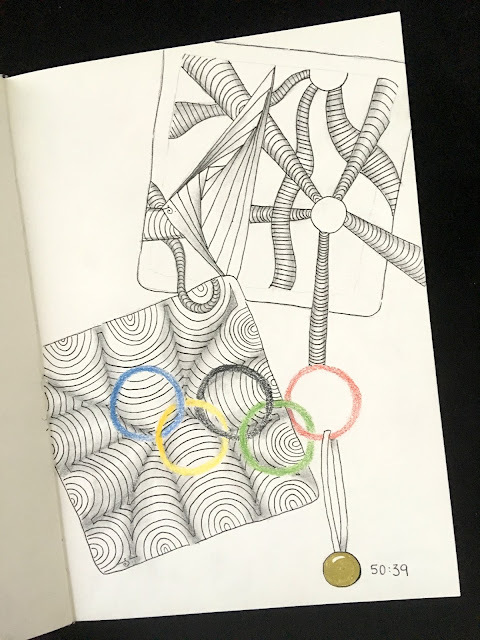 Love your tangling and your sketchbook! Thanks for naming Star crossed. Not sure I've seen it before ... Looks like fun! Beautiful, I love the sketchbook tiles and how well they play together.